A simple selfie taken by two young Olympic gymnasts has already become one of the most iconic moments of the Rio Olympic games. 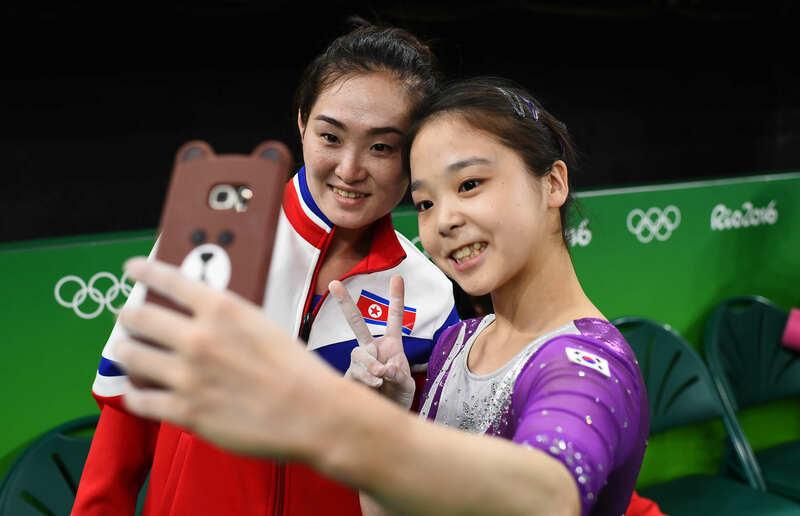 The North and South Korean gymnasts, who are from countries at war, stopped for a brief moment of unity to take a selfie with one another. And its being touted as defining the spirit of the Olympics. But the photo has prompted many people to ask whether Hong Un-jong, from North Korea, would face punishment for fraternising with the ‘enemy’ on her return home. According to North Korea analyst and sports fan Michael Madden, that is unlikely to be the case. North Korea has pursued ‘sports diplomacy’ since the 1980s – essentially, it’s a way for the politically isolated country to interact with the rest of the world and in turn, benefit from intercultural contact, the BBC reports. While it might sound more like propaganda than anything else, it’s North Korea’s way of pursuing one of the few diplomatic options available to it. The North even negotiated with the South to send a joint Korean team to the 2000, 2004 and 2008 Summer Olympics, but it never panned out. So chances are, Hong Un-jong will be greeted and not punished on her return home. Other countries haven’t quite grasped the Olympic spirit of friendship just yet, though. Serbian officials have reportedly told their athletes not to appear on any of the medal stands alongside their Kosovian counterparts, the Independent reports. And tensions are also running high after the Lebanese Olympic team refused to share a bus with their Israeli counterparts on their way to the opening ceremony. Maybe the rest of the world should take cue from the North and South Korean gymnasts.